Every year, local government officials across San Fernando, Santa Clarita, Simi Valley and the surrounding areas carefully inspect the different land parcels in an effort to ensure that all the exiting codes for weed maintenance have been enforced on all residential, commercial as well as industrial properties. Though this is a painstaking process, it goes a long way in reducing fire as well as health hazards. If any property is found to have weed or brush growing on it, notices are sent out by the local government official to the property owner. If the code compliance is not met after several warnings, they provide weed abatement. But this will be at the expense of that owner. With this in view, it is best that property owners ensure that weed abatement & brush cleaning is carried out on a regular basis as and when required. 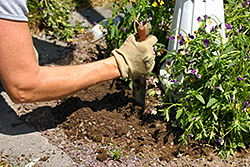 California Creations offers all-round landscaping services, but we also offer very comprehensive and professional weed abatement & brush cleaning services. If there is any severely overgrown lot or any kind of difficult to reach land spots like steep slopes or even any creek beds on your property, we can clear all the brush and weeds off the land in a very effective manner. 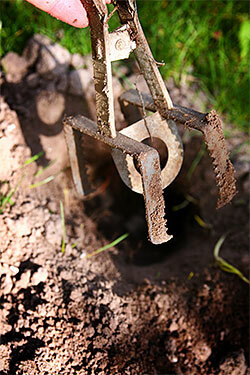 We use very specialized brush cleaning methods and can work in harsh terrains as well. All our weed abatement & brush cleaning personnel are highly trained and have a lot of experience with clearing residential and commercial lots. If there are wild weeds and plants growing, we will cut them. We may use either manual methods or specialized machines for the job. We are extremely decisive and professional in our approach to the job. The kind of tools that we use will be based on the type of weeds and brush that is growing on your property, in difficult-to-reach areas; we use much lighter equipment, which is agile but equally effective. Regardless of what the scale of your weed abatement & brush cleaning requirement is, we will be able to provide you with the best solution. 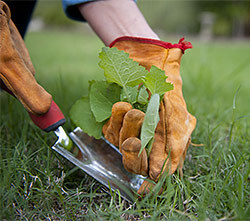 "Brush" is a very commonly found native plant community across Southern California. When this grows adjacent to homes, management of this wild plant growth is required to protect your home from any wild fires. It is best not to wait till you receive any notice from local officials. We provide you with very successful brush cleaning services which can be used to prepare any overgrown land for surveying property easements, fence installation as well as the abatement if any invasive plant species.